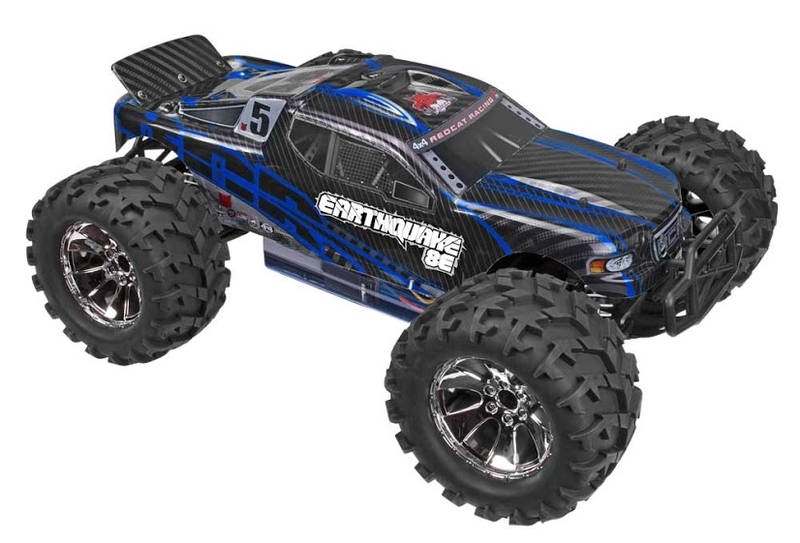 The Earthquake 8e 4wd monster truck is the bashers dream with 2 sealed differentials, adjustable suspension, aluminum capped oil filled adjustable shocks, powerful motor, and 2x - 7.4v 3200mAh 20c LIPO battery packs. The Aftershock 8e is ready to run and includes a 2.4GHz radio for solid control, 2x - 2s LIPO batteries, and LIPO charger. 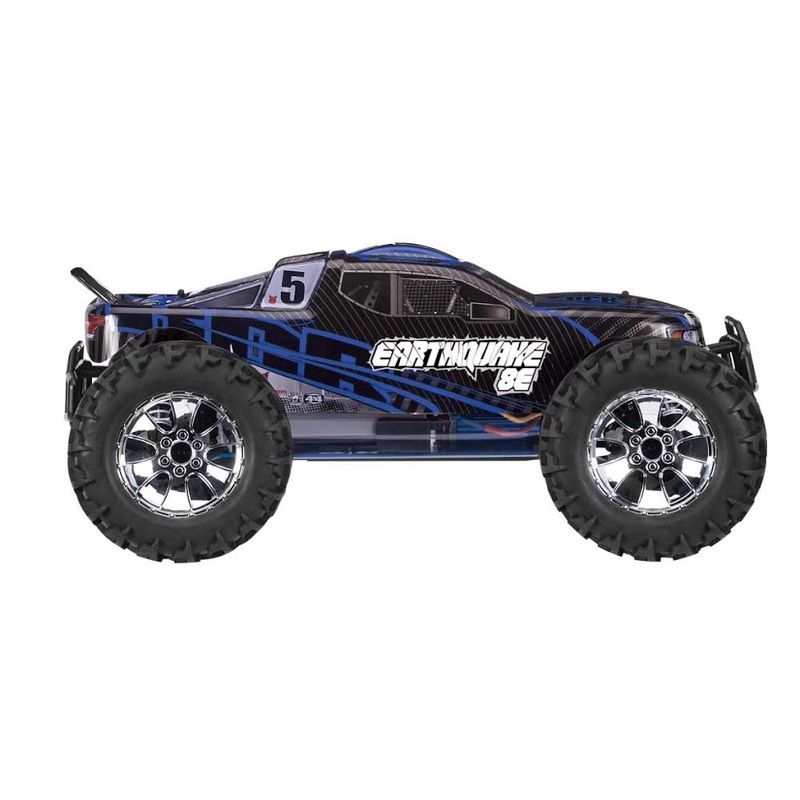 The aggressive monster truck tires scream “natural disaster”! These meats are made to tear up the terrain while offering great wear characteristics. 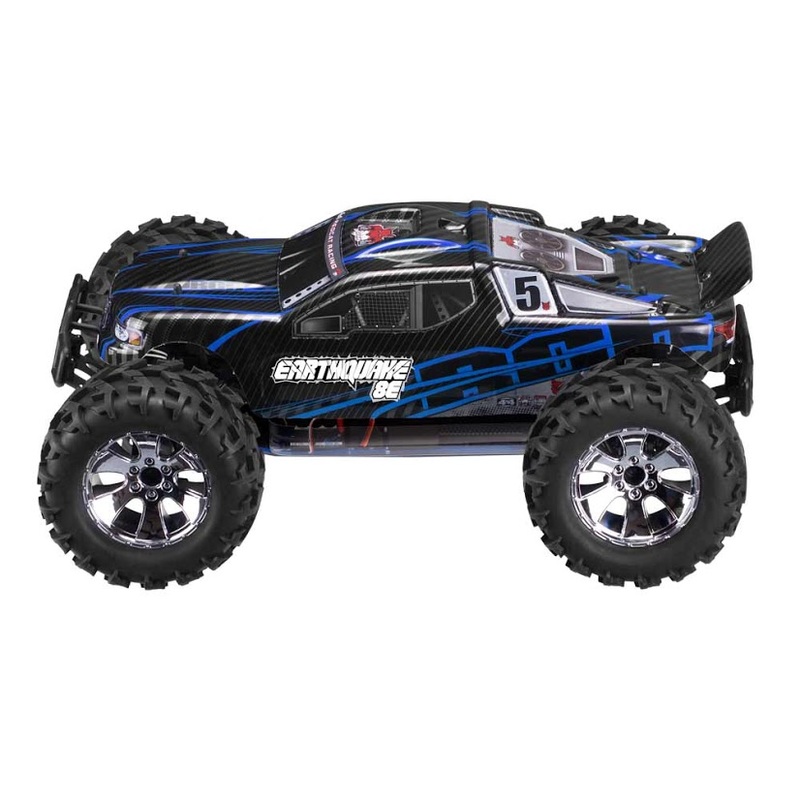 There’s no need to go around when you can drive over with the Earthquake 8e 4x4 electric powered Monster Truck!